The VA recently announced that it has $8 million in grant money available to eligible organizations to provide adaptive sports programs for disabled American veterans. 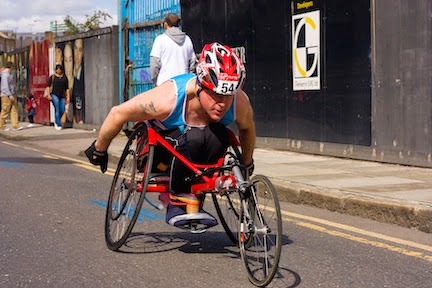 Adaptive sports are traditional sports that have been modified, either through the use of specialized equipment (assistive technology) or different techniques, so that disabled individuals can participate. Assistive technology refers to equipment that is developed or modified to help disabled individuals participate in sports activities. For example, a cyclist who loses the use of his legs and can no longer ride a traditional bike may use a handbike which is pedaled exclusively by hand. Similarly, wheelchairs that have been modified to make them lighter and more maneuverable make it possible for a disabled individual to play basketball or race in a track and field event. Organizations may use these grants from the VA to plan, develop and put in place adaptive sports programs, provide equipment and supplies, and train coaches and recreational therapists. The grant money can also fund the development of new and improved assistive equipment that enables disabled veterans to participate in these sports activities. “Adaptive sports can help Veterans confront challenges and redefine their capabilities, which is critical to successful rehabilitation,” said VA Deputy Secretary Sloan Gibson. Hopefully, as more organizations take advantage of this grant money, opportunities for adaptive sports will be available for more of our disabled veterans.